It's a surfer's paradise off our coast for the next day or two. 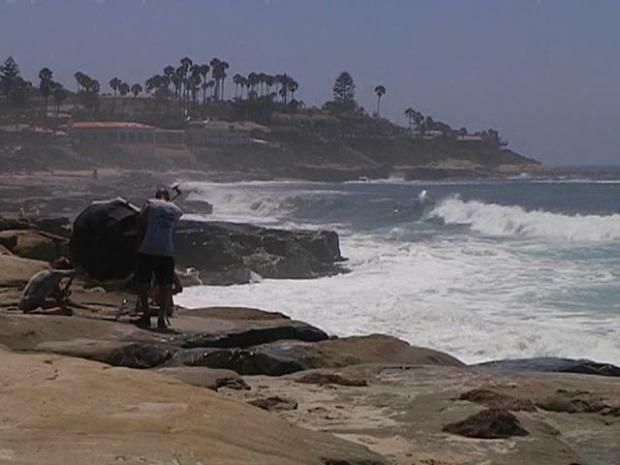 On Wednesday, surfers at Windansea Beach in La Jolla, and up and down the coast couldn't wait to get at the big waves. A high-surf advisory will be in effect until Thursday night, with waves up to 9 feet, mostly on south-facing beaches. The National Weather Service also said in its advisory that beach-goers should be aware that stronger-than-usual rip currents could also be a problem until Thursday evening. There could be significant beach erosion during high tide, according to the NWS. It's a surfers' paradise off our coast for the next day or two.